Paul Hynes is a journeyman. Stints at L’Ecrivain, La Dolce Vita, Horetown House and Step House in Borris – with stages in Arbutus and Tom Aikens in London thrown in for good measure - have led him back to Wexford Town to take charge of his own restaurant on Custom Quay. La Côte is a lovely low-key room which looks out to the town’s fleet of mussel trawlers moored along the quayside. The look is rustic and appropriately nautical and, like every Wexford restaurant I’ve ever eaten in, service is exceptionally friendly. A blackboard lists some specials to augment a menu heavy with seafood dishes – of the six starters, four feature fish or shellfish, something I’m very happy to see. Middle nephew is along for the spin – a kind of pre Leaving Cert ‘Last Supper’ – and he’s a big seafood fan himself, so we’re both looking forward to having a pescetarian evening. I kick off with a salt haddock brandade with cauliflower cous cous and haddock a la plancha while middle nephew goes for the baked scallops and prawns with garlic butter and prawns. 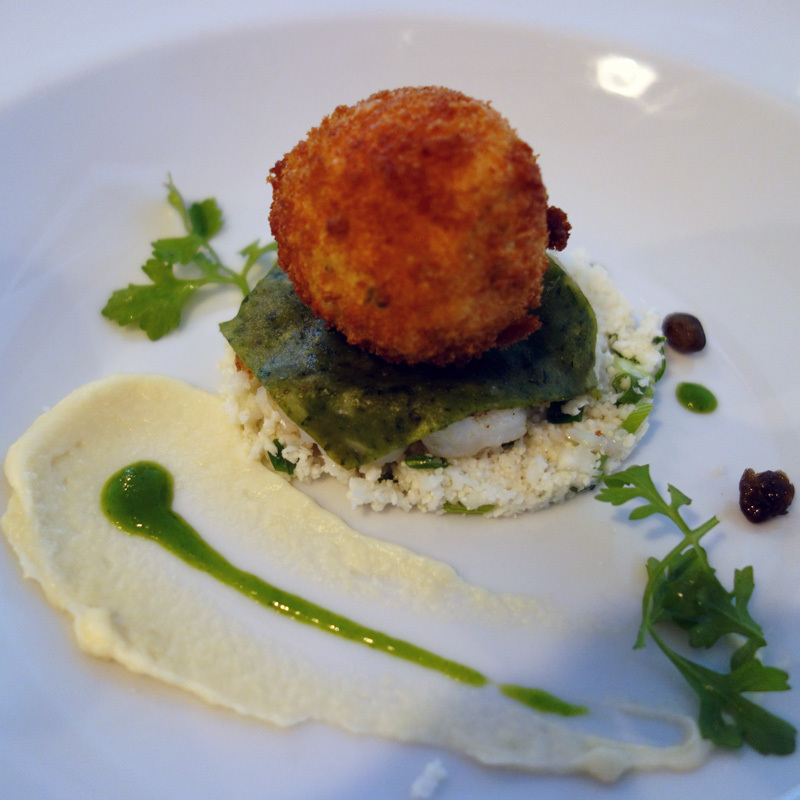 The brandade is lovely; the combination of fish and garlic and olive oil working perfectly with the cous cous and the grilled haddock and the crisp croquette that came on top – there’s not much of a cauliflower taste from that cous cous but it doesn’t stop me clearing the plate. 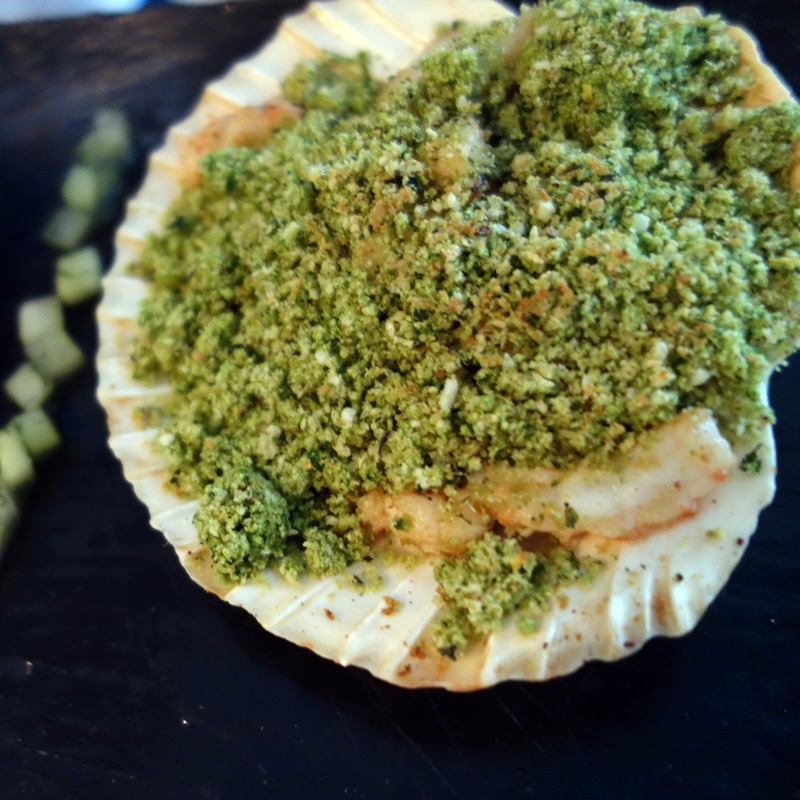 I’m allowed only the barest bit of the nephew's satisfying scallop and prawn dish, served in the shell and covered in – perhaps just a bit too much - herb crumb, but he declared himself happy with it. 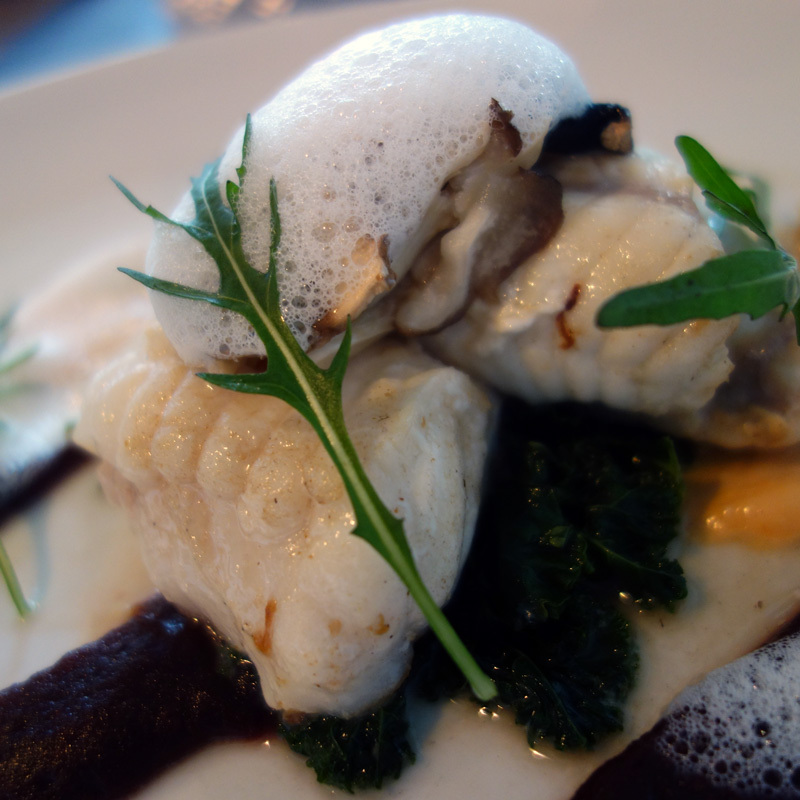 Mains are some plaice with leeks, crab and dill gnocchi and candied lemon zest for the nephew while I pick one of the blackboard specials - pan seared monkfish served with pickled mushrooms and some beetroot. Both mains arrive with a good portion of dauphinoise. 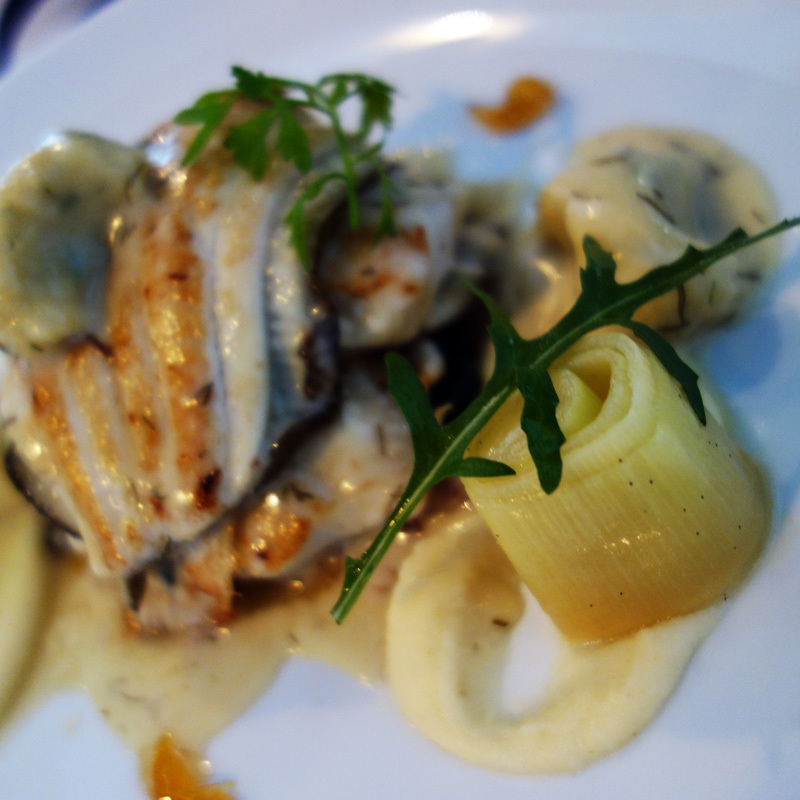 The monkfish is really well cooked and partners perfectly with the sharpness of the pickled mushrooms. Underneath, there’s some nice kale, again a good partner to the fish but the beetroot is puréed and doesn’t add much. 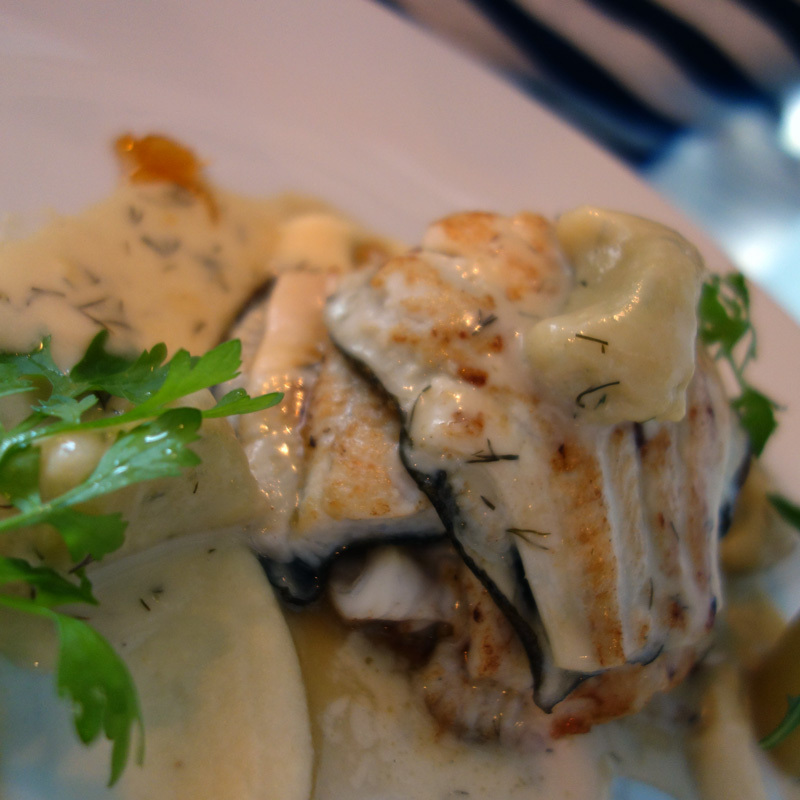 The nephew’s plaice is really fresh and there’s plenty of it and the gnocchi is a lovely idea and works very well but the candied lemon is a bit tricksy – a wedge of lemon would be better. Nonetheless it didn’t take long for both plates to be cleared. 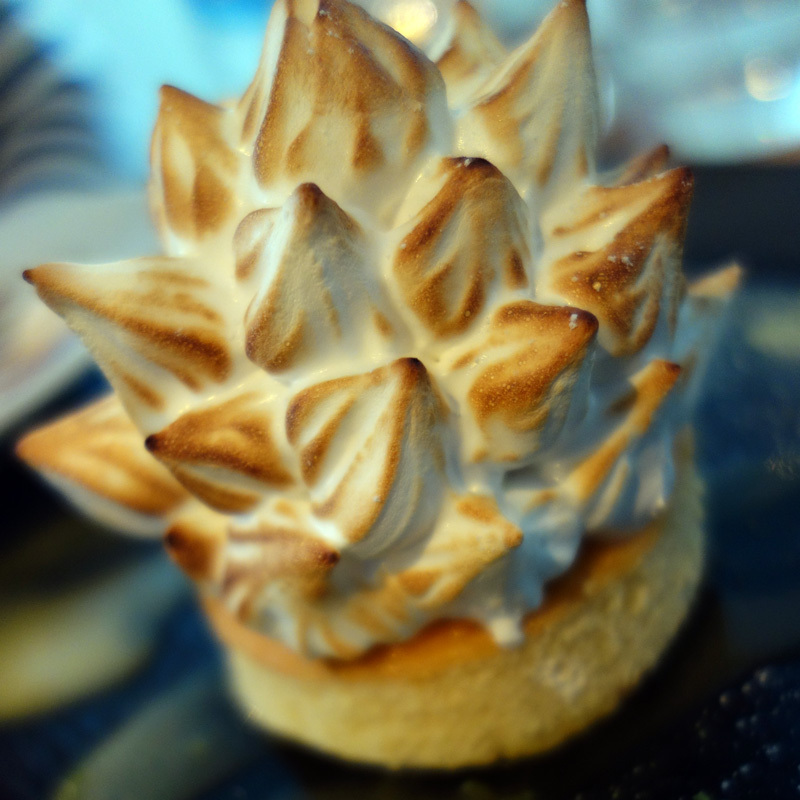 I knew from the minute we sat down which dessert I’d want – baked Alaska with passion fruit jelly and, except for a sponge base that was too dry, it lived up to my expectations; the piquant sharpness of the passion fruit balancing out the sweetness of the baked Alaska really well. 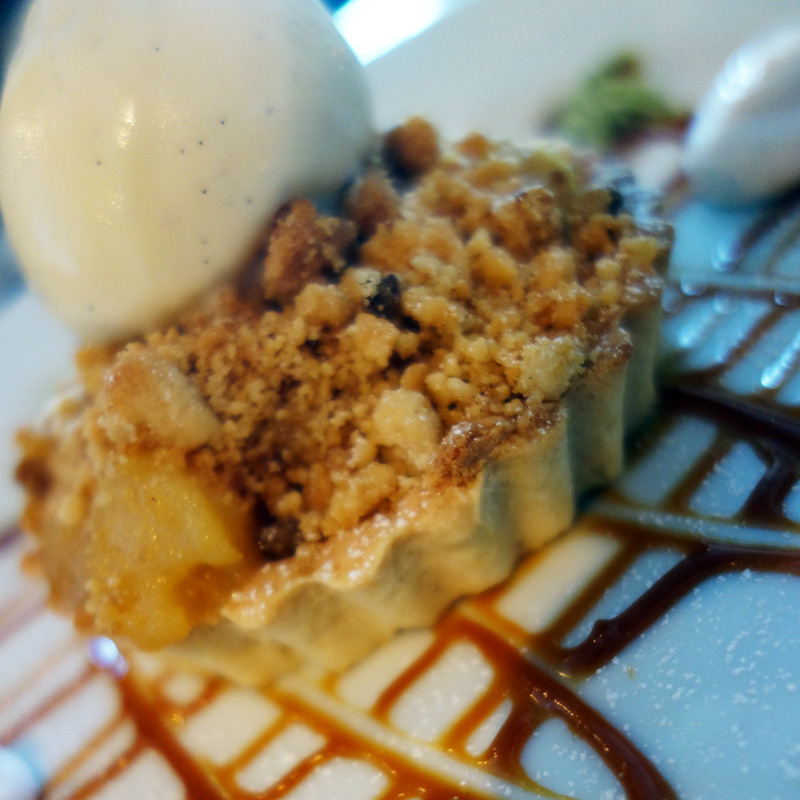 Nephew opted for a baked apple crumble with vanilla ice cream. This is good cooking in a pleasant room with lovely service and with three courses from the A la Carte for €29.95, really good value. Given the emphasis on fish and shellfish, I’d love to see a little more ruthless focus on the key ingredient and a little less reliance on tricksy adornments but the cooking was good and the restaurant was full. A good addition to Wexford town.